With 2 Fortune hand stamps, a label with the typed title, and notations, including Bourke-White's credit, in pencil, in an unknown hand, on verso. 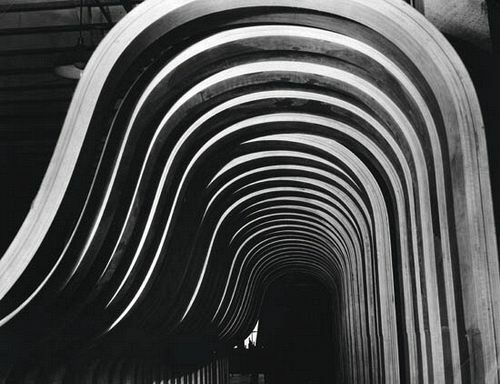 Bourke-White was assigned to the shoot the Steinway & Sons factory for Fortune magazine's December 1934 issue. The company, which was founded in March of 1853, will be celebrating its 157th birthday this year. Each masterfully crafted piano takes from 9 months to a year to complete.